Discussion in 'Installation/Configuration' started by Neekz, Dec 4, 2007. I am really stuck on this one when I type in my domain name it brings me to the SharedIP folder not my web folder. I could really use a step by step setup or a link a step by step setup. As well is there a way to have ISPconfig automatically install the CMS engine that I am using with each new subdomain that I would like to create? The CMS engine that I use is E107 CMS. You may have as many (sub) domains on one IP as you like. In ISPConfig, just create a new website for every subdomain. I am really stuck on this one when I type in my domain name it brings me to the SharedIP folder not my web folder. Then you selceted the wrong IP address for the website. 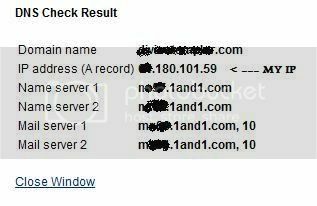 Normally you will have to select the IP Address where the subdomain ponts with a DNS A-Record to. But if your server is behind a router, you will have to use the internal IP and not the external IP. There is currently no function builtin for this. But you may extend the ISPConfig scripts to do this if you have some PHP programming knowledge. Thank you for the fast response. I take it for each new subdomain i will still have to through 1and1 to have it registered or no? I am intending on doing guild hosting in the end and if I have to keep going back to 1and1 it will take me forever lol? I take it for each new subdomain i will still have to through 1and1 to have it registered or no? Either you have to create a A-Record for every subdomain at 1and1 or you will have to create a wildcard record at 1and1. A third solution is to run your own nameserver on your ISPConfig server, but thats more compliacted and not recommended if you just start with linux and server hsoting. Is there a how to for creating a name server? How do I create a wildcard DNS entry? In the 1and1 controlpanel, you set the dns A-Record for divinetemplar.com to your server, but you will have to create a A-Record for divine.divinetemplar.com pointing to your external IP too. Also be aware, that changes in DNS may take up to 48 hours to propagate. The 48 hours is nothing special for 1and1. If you change to another registry, it will take the same time. Thats the way dns works.